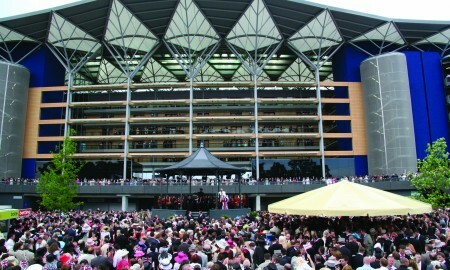 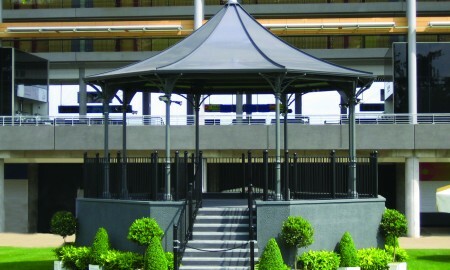 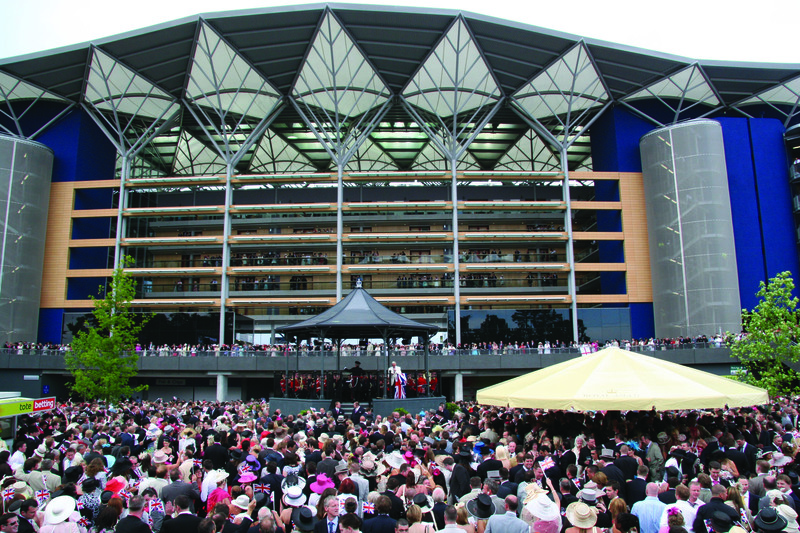 This traditional bandstand was commissioned by the prestigious racecourse, home of the famous Royal Meeting, to re-instate an element of Ascot heritage to the recently built modern grandstand, at the same time enhancing commercial and corporate facilities. 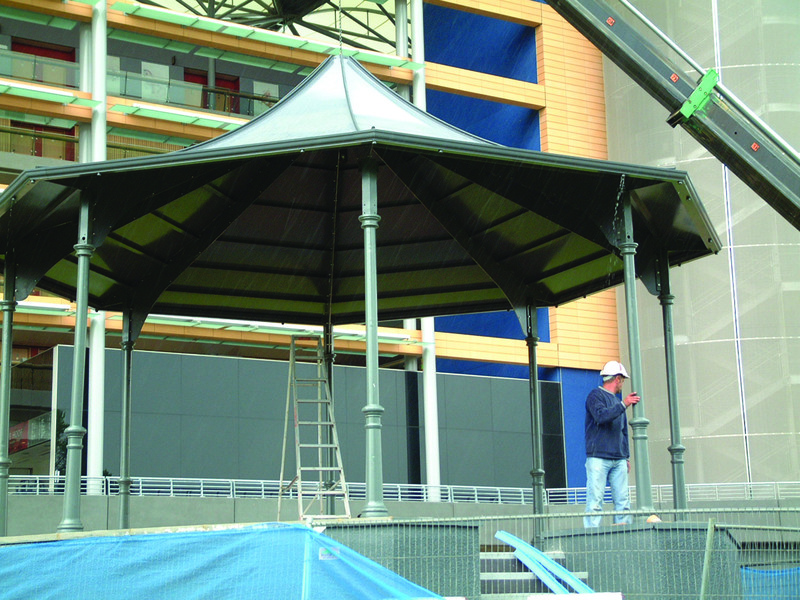 finished in an architectural render and a door formed into the rear of the base to provide access for maintenance and storage. 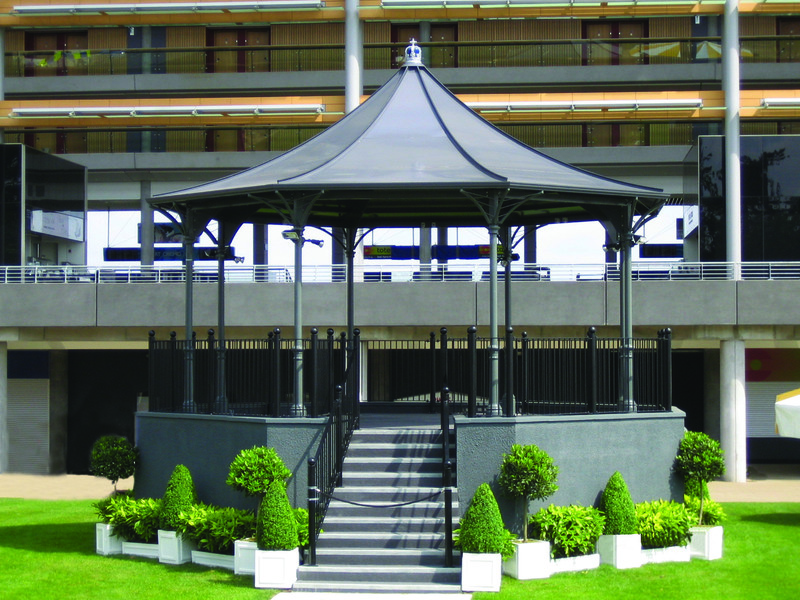 roof has an open soffit to reveal the profiled plate trusses and central support hub, whilst the decorative columns, which drains run-off internally to the base, also carry an elaborate capital detail which is sympathetic to the grandstand roof design. 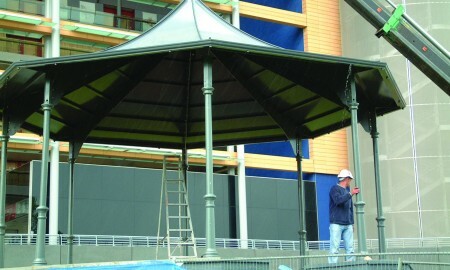 Finally, a simple balustrade system was installed to provide safe, easy access to the structure for musicians, instruments and the general public.